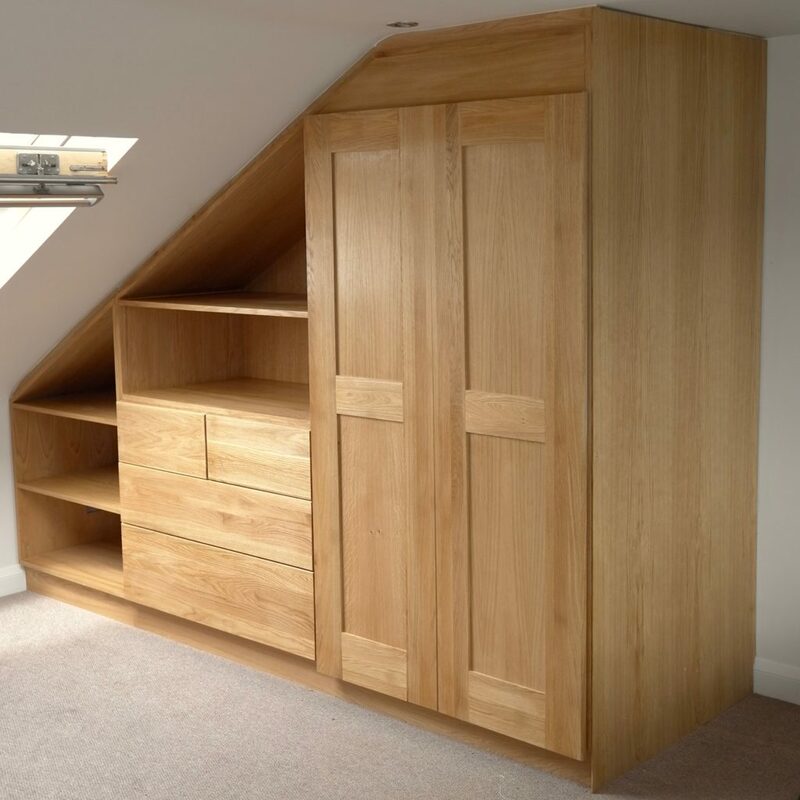 The project shown here was to design and build a fitted wardrobe for a bedroom in a loft extension. The limited space, and access via a narrow staircase meant that the piece had to be transported in small pieces and assembled in the room. 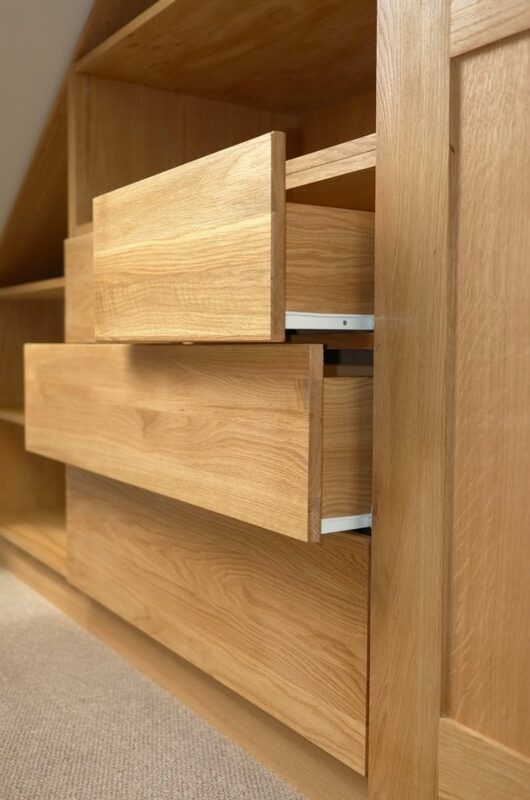 The integrated wardrobe, chest of drawers and shelving unit are constructed from oak veneered boards with solid oak for the doors and drawer fronts. The piece is finished with oil.